So insists storyteller, actress, activist and playwright, Buhle Ngaba (25), visionary and author behind the whirlwind journey that culminated in The Girl Without A Sound. It's the playful, brave, passionate and powerful tale of a young, black girl with moonlight in her skin, a golden cocoon in her neck, and the struggle to find her voice and place in the world. 'Stories matter.Many stories matter.Stories have been used to dispossess and to malign,but stories can also be used to empower and to humanize.Stories can break the dignity of a people,but stories can also repair that broken dignity'. It was exactly this that Buhle and her beautiful team set out to do. ‘The story itself was born out of defiance and in response to the fairytales we were told as little girls,’ says Buhle. ‘Stories of white princesses with blue eyes, flowing locks of hair and an overwhelming awareness of their own beauty’. This delightful children's narrative vividly captures the issues surrounding black (particularly female) representation and agency, with all the whimsy, wisdom and wonderment of the fairytales we grew up with. She enlisted the creative talents of photographer Neo Baepi, illustrator Thozama Mputa and graphic designer Ryan Haynes and worked with Noxolo Mafu and Mika Milosevic to create alongside her. The result was nothing short of serendipitous; in just 3 weeks The Girl Without A Sound went from a letter written for her aunt to the fully downloadable, mixed-media masterpiece that it is today, as the team collaborated from all corners of South Africa. It was initially released for free download on the The Girl Without A Sound website, designed by Al Postman, also known for his organisation Something Good Sundays. Within the space of just 3 weeks, the 28-page book went from a spark of inspiration to 2000 downloads. In fact, it became so popular that it caused their site to crash! And the snowball effect of its growth is keeping Buhle and her team on their toes. While online has been the simplest, most time and cost-effective way of making the work accessible thus far, Buhle 'still want[s] to make sure a girl in Tokai and Khayelitsha both have the same access to the book' and is looking into releasing hard-copy versions in the near future. 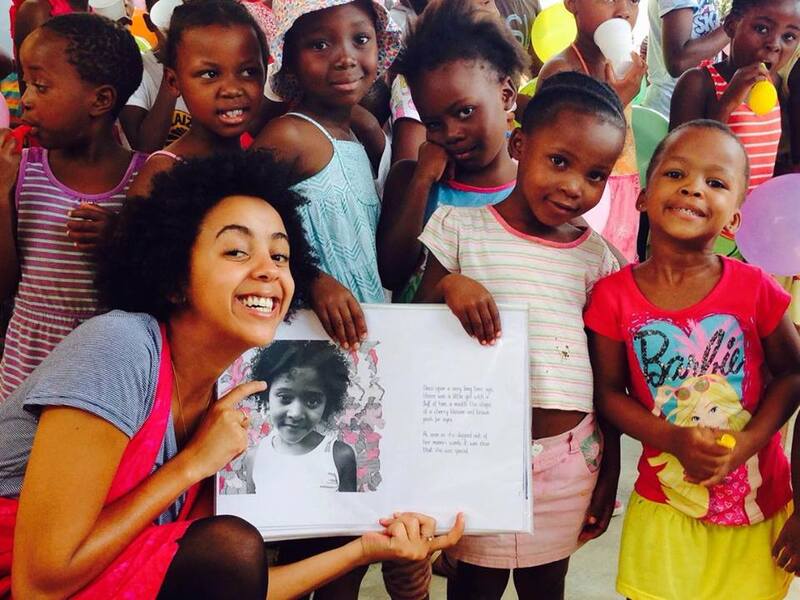 Though aimed at young girls between the ages of 9 and 12, Buhle describes it as a children's book for adults. 'Ultimately it is about one finding their own voice. Which is something we can all identify with', she says. 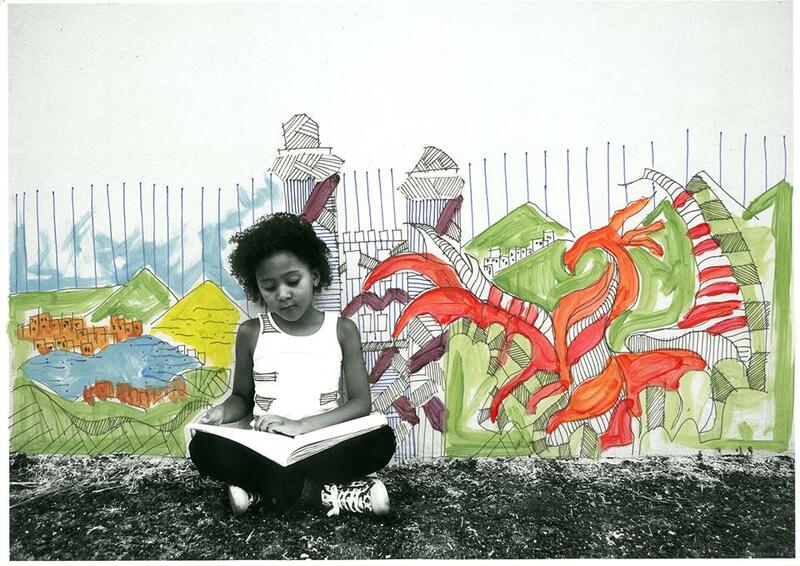 The Girl Without A Sound was released in conjunction with KaMatla Productions, an NPO that Buhle created in 2015 to aid the development of the arts in underprivileged communities, and develop the legacy of storytelling amongst the youth. The book is just one of the inspirational, bold and invaluable steps the Girl Without A Sound team is taking to improve and advance the lives of all South Africans. Buhle explains that 'I am at my best when I feel useful or stretched towards something bigger than me'. And so she is, time and again, in all of her work whether its fundraising for sanitary products for communities in the North West, or the 6 week Constitutional Law Drama Workshop at Amazing Grace Children's Home in Johannesburg. Ultimately, like Buhle herself, our protagonist comes to find that “her voice, that she had been chasing, had been inside her all along”. Follow this incredible team and their exciting journey via their website, or social media channels.